This week’s theme – Mothers. One of my favorite times of the day is when Owen wakes up from his nap. 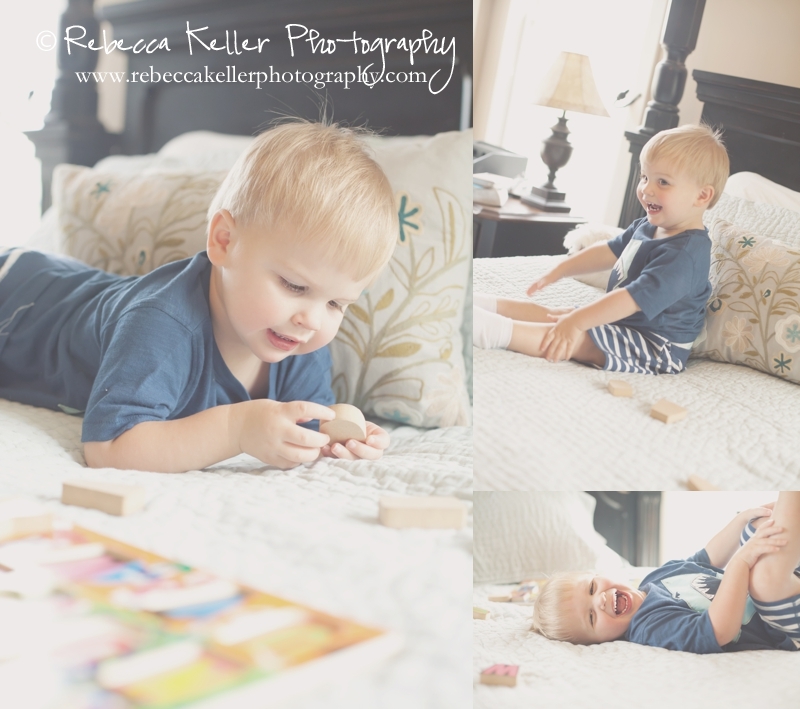 He is so happy and just loves playing with his letters puzzle and his puppy. 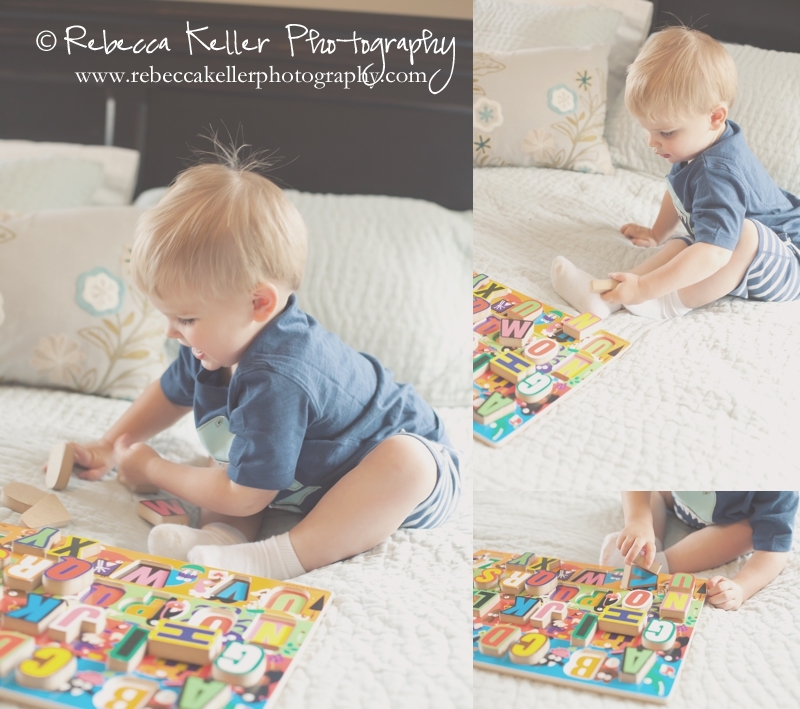 This puzzle is one of his absolutely favorite toys – he knows every letter of the alphabet and is content identifying the letters and their sounds and then figuring out the puzzle. I have been meaning to capture this sweet time in the afternoon and finally picked up the camera. I am almost never in pictures with Owen simply because it is usually just me and him when I am taking pictures. Thankful that Michael captured this sweet moment. Truly a special Mother’s day gift – a memory with my son. Don’t forget to capture your favorite times of the day – and don’t forget to get in the picture every once in a while! Happy Mother’s Day! So I have to admit, I have not taken as many pictures the last two weeks as I wanted to. We even took a trip to Ohio and my camera stayed in my bag the whole time! To celebrate Owen’s buddy Christopher’s second birthday, we took the boys to Ox and Rabbit Soda and Sundries in Durham. Not only can you get an old fashioned egg cream but the shop it just too cute and packed with gifts for the home and little ones. The boys weren’t quite big enough to reach the counter yet but they still enjoyed their treat! Owen had so much fun and was an absolute mess by the time we left! We will definitely be back! To see more posts from my everyday project, click here. Our Everyday – Weeks 3 and 4 – Newborn Photographer, Wake Forest, N.C.
Well, we took a trip to the beach. Owen loves the sand but is still a little scared of the ocean. While we were taking these, a bunch of helicopters flew over. The first picture is Owen saying, “Where’d they go? Helicopters?” which he repeated for several hours and was the first thing he said the next morning when he woke up. Adorable. For one of our Easter Crafts, we made these super cute cards, filled Easter Eggs, and mailed them to the grandparents and great grandparents. When they opened their mailbox, they found an easter egg with a little tiny label on it filled with candy and a cute little card. I love this website and I got the idea for the card here and the idea to mail the eggs here. We also made Graham Cracker Peep Houses which can be seen here. See more of our everyday here. I have been thinking of starting an everyday project – it just might not be every day but most days. It’s important me to not only take posed portraits but pictures of everyday life. The past two weeks have been full of fun – a birthday party at the amazing Smithfield Recreation and Aquatics Center, and a trip to see both sets of grandparents. This is our everyday. He loves and his daddy, and of course, he loves cupcakes! New favorite toy from the Good 2 Grow Kids Consignment Sale! Mr. Cool just loves reading his books especially anything Llama, Llama.